Digital Mortgage experience made simple for customers and lenders. 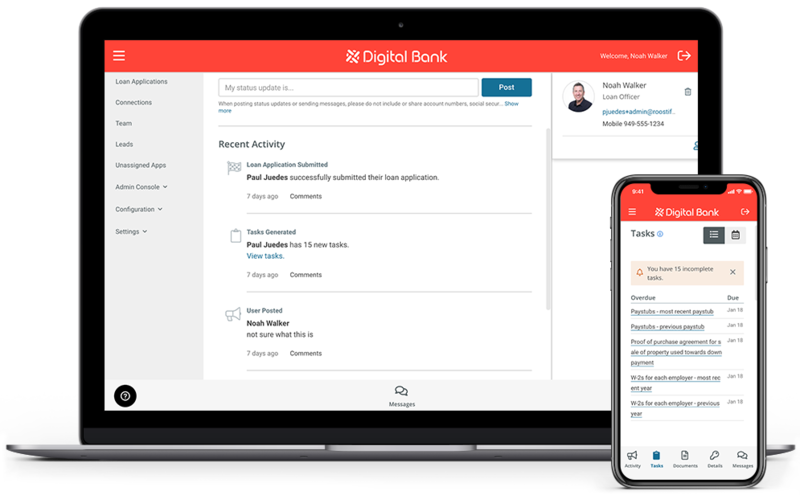 Roostify is transforming the mortgage industry with an innovative and integrated platform that’s streamlining the entire digital lending experience. Decreasing closing times. Increasing margins. Helping everyone win in so many ways. Let us show you how it works. More applications are completed thanks to an optimized digital user experience designed with your customer in mind. More loans are closed faster when everyone involved is communicating and collaborating at a higher level of efficiency. More revenue is generated by each loan officer when able to cultivate and manage more customers at the same time. An intelligent and intuitive interface designed to provide customers a best-in-class experience, while maintaining the highest level of security and compliance. * Resulting in increased pull-through rates for lenders and seamlessly connecting everyone in the ecosystem. *Certified WCAG Level AA to provide an Americans with Disabilities Act-compliant loan experience to applicants. Enable a unique lending experience that’s authentic to the brand across any channel throughout the organization. All while being able to access multiple accounts from one single login portal.